The weather couldn't have been better this weekend in the Bay Area, but the warm temperatures also caused air quality issues. On Sunday, the Bay Area Air Quality Management District issued a third consecutive Spare the Air alert for Monday and it's expected Tuesday could get the same designation. On Monday the Bay Area is expected to be mostly sunny with Coastal highs in the 70s to lower 80s and inland temperatures in the lower to mid 90s. Winds of 5 to 10 mph are expected. 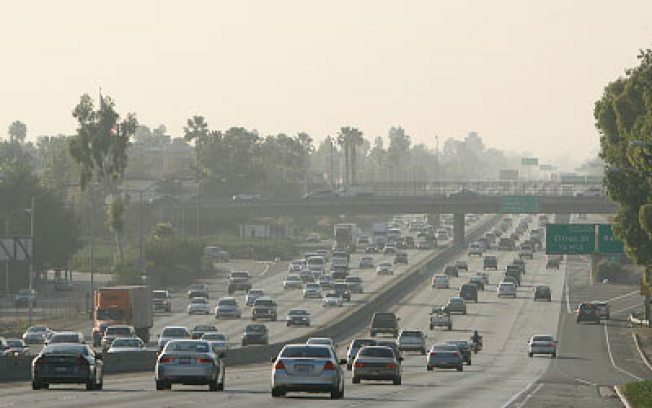 "We're hoping that people re-think their commute tomorrow and take carpool or transit instead of driving alone," Air Quality Management District spokeswoman Kristine Roselius said Sunday. There is no free transit tomorrow, and there is no wood-burning ban in place. Wood burning bans are common during winter Spare the Air alerts because of the particulate matter contained in wood smoke. The air district monitors daily air pollution levels and produces air quality forecasts every day based on an index developed by the U.S. Environmental Protection Agency. 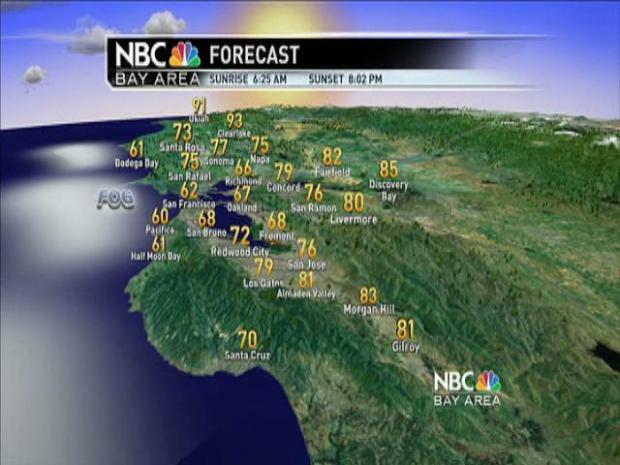 Two two of heat around the Bay Area and another Spare the Air Day. When the index indicates unhealthy concentrations of ground-level ozone -- commonly known as smog -- the air district issues the Spare the Air alerts.